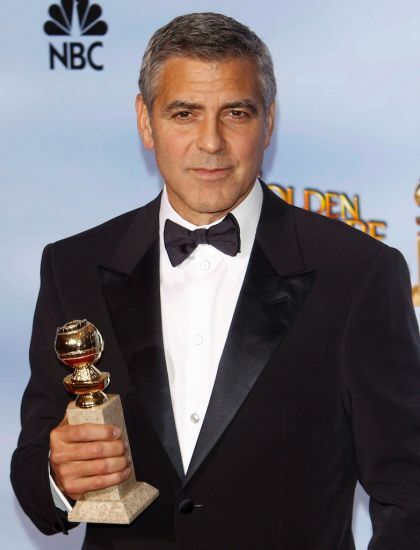 “The Descendants,” this year’s Golden Globes winner for Best Picture (Drama) and Best Actor (George Clooney) is based on Kaui Hart Hemming’s novel set in Hawaii where outwardly successful businessman Matt King (Clooney) is thrown into crisis when his wife falls into a coma. As King struggles to be a hands-on parent with his two daughters Scottie (Amara Miller) and Alexandra (Shailene Woodley) and eventually coming to terms with his wife’s deteriorating health, he soon discovers a secret that has given him a new look in life. With his girls in tow, he steps forward to search for unturned stones his wife has left him with. Along the way, in encounters alternately funny, troublesome and transcendent, he realizes he’s finally on course toward rebuilding his life and family. The winning motion feature is presented by Fox Searchlight Pictures with Ad Hominem Enterprises production directed by Alexander Payne which is also penned by Payne with Nat Faxon & Jim Rash. The ensemble cast includes George Clooney, Shailene Woodley, Beau Bridges, Robert Forster, Judy Greer, Matthew Lillard, Nick Krause, Amara Miller, Mary Birdsong, Rob Huebel and Patricia Hastie. “The Descendants” is a story that could perhaps be told anywhere, but it has a completely unique setting among the landed upper-classes in Hawaii,” says Alexander Payne. “It’s specific to this place, yet it is also universal. Hawaii is very interesting and not just for its obvious visual and vivid beauty; there’s a distinctive social fabric to life there and that intrigued me,”adds Payne. The movie sees two masters, both Oscar winners, both at the pinnacle of their game. Funny but also reflective and poignant, this is Alexander Payne’s first film since “Sideways” (2004). And in one of the most interesting roles of his brilliant career, George Clooney plays Matt King, a conflicted and flawed man discovering his own humanity and responsibility in the wake of a tragedy. In the depths of this crisis, King has to come to terms with the fact that he has been largely inadequate as a father as he attempts to repair his relationship with his two daughters. 17 year-old Alexandra is rebellious and has been sent off to boarding school. 10 year-old Scottie, played by first time actress Amara Miller, is precocious and in need of parental supervision. Compounding Matt King’s grief, there is the added revelation that before her accident his wife had been involved with another man. “Matt is kind of lost, befuddled, disappointed—all the normal things people feel in life, realizing they’ve done the wrong things.” says Payne. “The Descendants” will open on February 15 in theaters from 20th Century Fox to be distributed by Warner Bros.